Wellington, 23 February 2015 – Equinox House, a freehold, fully leased 16-level office and retail investment with stunning city views in the heart of Wellington’s CBD, has come up for sale. 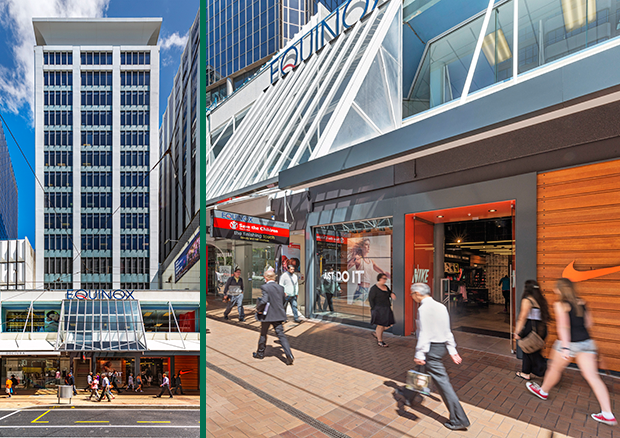 Located at 218-224 Lambton Quay, Equinox House is being marketed for sale by Matt St Amand​ of CBRE along with Bill Leckie and Peter Wilkin of Colliers International and is available for sale by Deadline Private Treaty closing Thursday 19 March 2015 at 4pm (unless sold prior). Situated opposite the iconic Kirkaldie & Stains department store, Equinox House offers 16 levels of modern office accommodation plus two strategically located retail shops fronting onto Lambton Quay and enjoys the benefit of frontages to both Lambton Quay and The Terrace. Significant refurbishment and seismic upgrade works have recently been undertaken and global engineering firm Aurecon classify it with an NBS rating of more than 70%. Formerly known as D.B. Tower, the building is a reinforced concrete structure originally developed by Fletcher Development and Construction on behalf of National Mutual Life Association and completed in 1987. 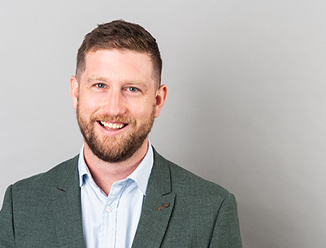 Bill Leckie, Broker of International Sales at Colliers International, says that opportunities to purchase a seismically-sound building with a good income stream from tenants is a rare occurrence, particularly in Wellington’s tightly-held office market. Investment Broker, Peter Wilkin, of Colliers International adds: “With a NLA of 4,692sqm and a typical floor plates area of 318sqm, the building enjoys zero vacancy and high quality, long term tenants. 27 car parks are included in the investment; the office floors are double glazed and boast a 2.6m stud height. Easy access to the central city amenities including the cable car, railway station and other public transport facilities as well as a short distance to Wellington’s waterfront via either Johnston or Brandon Streets.